Karen better watch out. 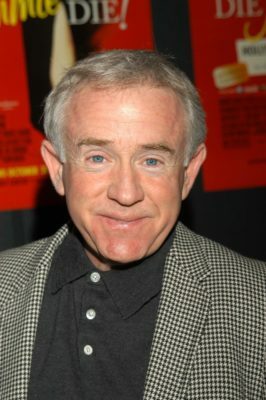 Today, NBC revealed Leslie Jordan will return for season nine of Will & Grace. Jordan famously played one of Karen’s (Megan Mullally) rivals, Beverly Leslie, during the sitcom’s original run. For the revival, he joins fellow cast members Debra Messing, Eric McCormack, and Sean Hayes. 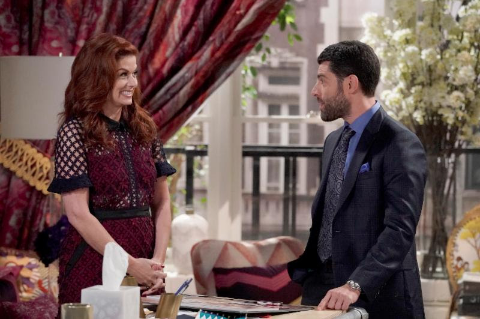 Jordan will make an appearance on the October 26th episode of Will & Grace, titled “How to Succeed in Business Without Really Crying,” which airs on NBC at 9 p.m. ET/PT. New Girl‘s Max Greenfield will also guest. WILL AND GRACE FACE THE BIGGEST DECISIONS OF THEIR CAREERS – OR DO THEY? – MAX GREENFIELD AND LESLIE JORDAN GUEST STAR Grace (Debra Messing) tries for her biggest job yet: decorating a string of boutique hotels for an obnoxious mogul (guest star Max Greenfield). Meanwhile, Will (Eric McCormack) is surprised at his reaction to making Senior Partner; Beverly Leslie (Leslie Jordan) discloses his secret to Karen (Megan Mullally); and Jack (Sean Hayes) owns half of a winning lottery ticket. What do you think? Are you watching the new season of Will & Grace? What other characters would you like to see return? More about: NBC TV shows: canceled or renewed?, Will & Grace, Will & Grace: canceled or renewed? Don’t really care for Will and Grace. It had its time but to bring it back I do not think was a good idea.